Another Avurudu is round the corner. Holidays give us time to refresh, reflect and renew. As Sinhalese and Tamils unite in enjoying the festive times together, it radiates the symbol of national unity. Today’s column on Human Results is a relaxed reflection on the need to collectively awaken towards prosperity through productivity. 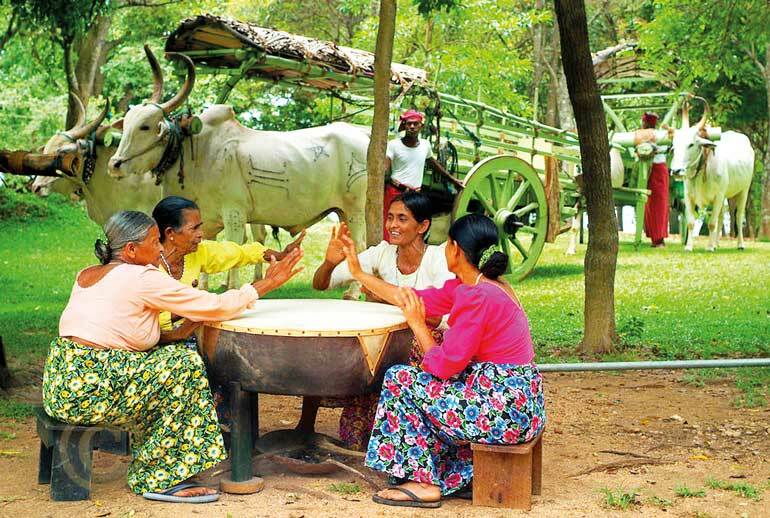 Goodwill, happiness and joy fill the air and the hearts of people of Sinhala and Tamil homes during the New Year.The familiar sound of the Koha and the rhythm of the drums are heard. Old customs are revived and people exchange greetings. Age old Sinhalese and Tamil traditions and popular customs which were meticulously observed by the ancients are revived and the younger folks were introduced to them by their parents in the past. Avurudu invites us to awaken ourselves. It is the time to rejoice, relax, reflect and reinforce. Celebrating as Sinhalese and Tamils alike is the central key. Collaboration, consensus and connectivity are all coveted concepts associated with Avurudu. Cheerful, optimistic and an open mindset can be a good starting point. However, a challenge arises. Are we seeing the good in us as well as in others enough in a truly win-win sense? We live in a time when meetings are started asking the question, “What went wrong during last month?”. We are very good at catching people doing things wrong. An institutionalised negativity is a common phenomenon in Sri Lankan workplaces. This is the time, I think for us to change. We should catch people doing things “right”. We should more often ask the question “What went right?” Positive focus is one vital ingredient for consistent performance. In order to change for the better, we need to recharge ourselves. There is no better time than this festive season to do so. I am talking of the need to take care of physical, mental, emotional, social and spiritual dimensions of our lives. This is an opportune time for renewal, an awakening to the reality with focus on being better. We need an awakening in each of the above facets, in making the coming months a meaningful period of prosperity. Avurudu games are an invitation for us to stay physically fit. The human body is the vehicle that takes us through the journey of life. Being healthy and fit are of utmost importance, despite our constant negligence of them. Finding quality time for physical exercises on a regular basis will be one sure cure for physical inactivity. Having a healthy dietary pattern, in opting to be fit than fat, is another vital need. Now, make the decision to allocate time for it, and to respect the commitment. That is what an awakening is all about. Avurudu invites us to sharpen ourselves. As Stephen Covey highlighted as one of the seven habits of highly effective people, “sharpening the saw” is essential for growth and success. Ensuring that knowledge and skills are regularly updated and upgraded is what we need to focus on. Tom Peters gave a challenge to US managers a decade ago. Look back for past six months, and see whether you have acquired any new knowledge or skills. If the answer is “no”, you are stagnating with a blunt saw. With internet as a vast ocean of knowledge offering a variety of informal learning approaches, learning has become a part and parcel of our lives. As Socrates said a long time ago, we learn from “the womb to the tomb”. Avurudu is a time to strengthen positive, constructive emotions. There are people who have successfully passed their exams, but have miserably failed in their lives. Being aware of constructive emotions as well as destructive emotions, surrounding our lives, is the first step. Laziness and anger are two common examples for destructive emotions. Enthusiasm and determination are common constructive emotions. As experts on Emotional Intelligence (EI) say, self awareness should lead to self-regulation. That is when you are in control of your emotions and then channeling them towards achievements. This is especially true if you are at an organisational leadership position. As Daniel Goldman, who popularised the concept of EI advocate, leaders should be 70 % more emotionally intelligent than the others. Avurudu unites the nation and socially bonds the country. As we know, no man is an island. Human beings are social animals. Human connectivity is an essential requirement for any community to foster. In a high-tech world, where speed is a key factor, high-touch dimension of relationships should not be neglected. I have seen many achievement-oriented executives who have “married” to their jobs whilst their neighbours are taking care of their families. A renewal should ensure the fostering of relationships with team at work, and more importantly with team at home. Building better relationships, taking quality time off from your work to be with your loved ones, involving in voluntary work are some of the popular activities in this respect. Avurudu is very much associated with religion. Moving beyond rituals, it is a time where we revisit and reinforce our values. The above four awakenings that we discussed are not possible without the underpinning one to all of them, which I call the spiritual awakening. There is a difference between being spiritual and being religious. One can visit a church, temple, mosque or a kovil every day, but remain at constant loggerheads with neighbours. Being spiritual is much deeper in moving beyond rituals in being righteous. It required a set of values that governs your behavior. Honesty and integrity can be the commonest examples. Harmony between your set of values and the corporate values of your organisation will ensure long term association of you and your organisation. The key point here is the need have a balanced approach towards performance. Awakened employees will assure their commitment towards assigned tasks in achieving the expected results. We need to go beyond festivities to ensure focused action leading to fabulous results. Awakening to realties can be the beginning in this endavour. Avurudu is the opportune time for us to accelerate national reconciliation. Sinhalese, Tamils, Muslims and Burgers should all live in harmony in this island nation. May the Avurudu herald an era of prosperity through productivity. That can be only possible by having the rigour of going for stretched targets with a renewed commitment as a well-balanced person, in delivering humane results.